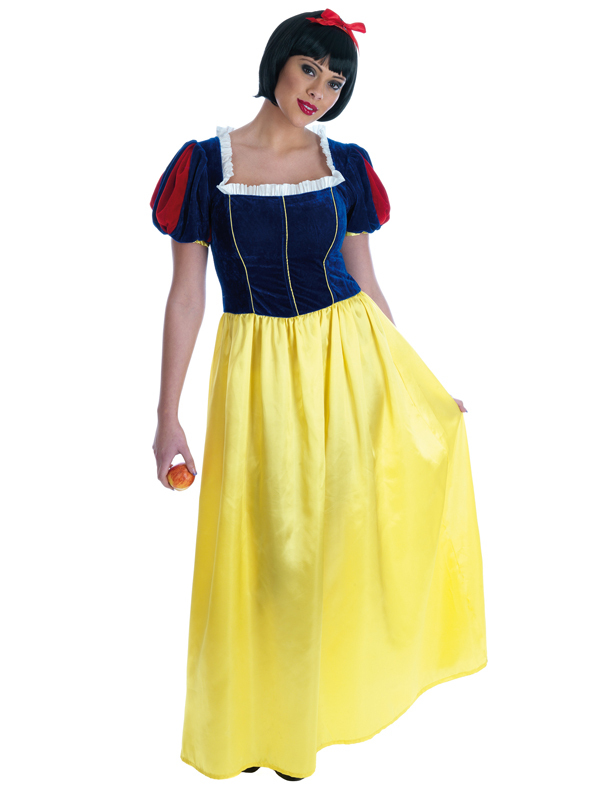 This long length Snow White costume is ideal for teachers dressing up on Book Week, or for a fairytale themed fancy dress party. Includes a long flowing dress. The dress has a short sleeved blue top with frill detailing and yellow piping, and a floor length yellow skirt. Completing the costume is a headband with bow attached. Also take a look at our licensed Adult Disney princess costumes.